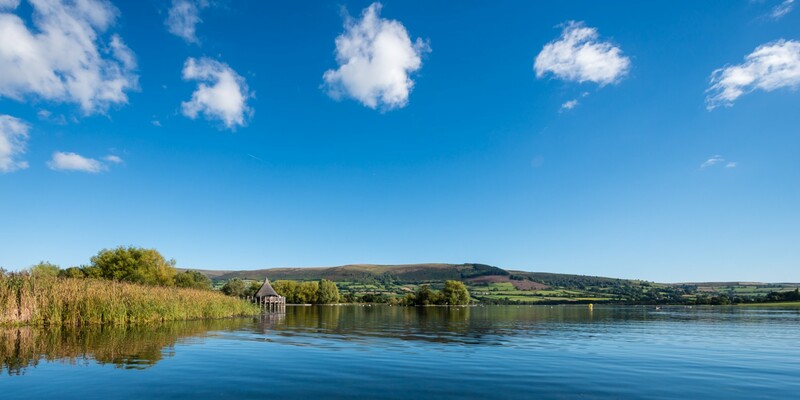 The Llangorse Triathlon bike route will take you from HQ on the common and into Llangorse Village, along the B4560 towards Bwlch, left and along the A40 then left and back on the A479 towards Talgarth and left at the roundabout and back along the B4560 into Llangorse. You’ll repeat this loop and then turn back towards the common and HQ at the end of your second loop. The run route is a mixture of trails, grass paths, boardwalk and a small amount of road. You will run from the common and across the bridge to the west side of the lake, along the footpaths past the bird hide towards the church and retreat house. At the church you will run up the lane and right into Pennorth before turning down to Ty Gwyn farm and down the footpath to the disused quarry. This is one loop, you will repeat this twice and after three laps you will turn left at the quarry and back along the trails and over the bridge to the finish on the common.